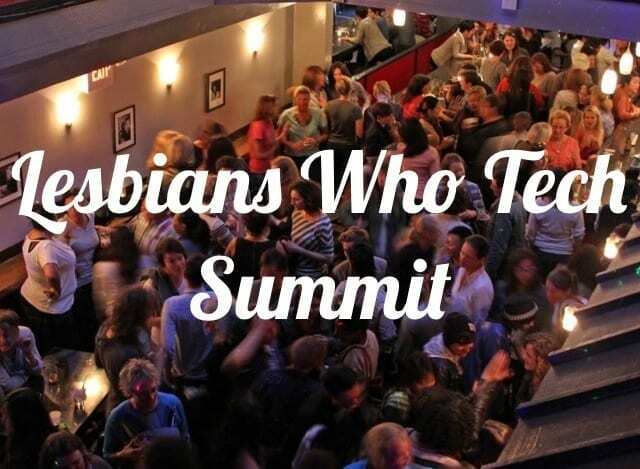 Dom DeGuzman first covered this in her speech at the Queer Women Who Tech New York Summit, June 2014 and is sharing her keys to breaking the bro code with us here. My name is Dom and I am a software engineer at Twilio, an open API telecommunication company. I focus on infrastructure monitoring, development tools and the general engineering platform. I like to describe my job as maintaining engineering headaches. My career has never been linear and I certainly don’t have a background in Science Technology Engineering or Mathematics. I actually studied and focused on absolutely anything other than those subjects and ended up negotiating a “Special Major” in college where I wrote a central thesis on heteronormativity with lesbian relationships in mainstream media. As I graduated college, I thought that employers would find my unique degree showcased my creativity and individualism. They did not. Instead, I searched for jobs while working at a chain of electronic stores selling computers. I went from selling computers to fixing them to fixing them at an enterprise level to supporting an enterprise Linux environment to software engineering. Traditionally speaking, the technical industry has been dominated by not only men, but introverted, socially awkward and sometimes “nerdy” men. Now that the tech industry is booming, those frat boys you left in college have packed their flip-flops and beer cans and, instead of moving into finance or sales, they are sitting next to you ‘crushing it in Ruby’ and playing beer pong between deployments. This is not only shifting the dynamic and culture of the tech industries but they are beginning to shape it as well. This is largely responsible for incredibly sexist and misogynistic stories and events like Hackers and Hookers and male dominated recruiting events at whiskey and cigar bars. I’ve been in the San Francisco tech industry just about the same time as the start of the rise of the brogrammers and in this time, I’ve identified very distinct stages I go through when working with a new set of brogrammers. There are two types of denial; the denial of skillset and the denial of sexuality. In terms my skills, whether it was because I was younger, a female, not graduating from an ivy league or not having a degree in computer science there was always a reason that a brogrammer would look over my should and make sure I was doing something correctly. Denial of sexuality should not be confused with a need to stay ‘closeted’. Instead, it’s almost the opposite. Brogrammers like to think of themselves as forward thinking and accepting, but this often results in being treated as ‘one of the guys’ rather than respecting me as a queer woman. This would include asking me to participate in judging and rating women, but while we may both like women, but I actually respect them. The next step, anger, slowly builds up inside over time and usually stems from inappropriate brogrammer commentary or being trapped in a windowless room filled with farts. There are those comments that you just can’t let it pass. When I got the promotion, a colleague said to me, “I can tell why they chose you. You’re great at your job and you’re a hat trick.” He meant that I am gay, a person of color and a female – according to him, an HR goldmine. Sometimes you do let the comments pass, which I feel like is the first step of ‘brocoming’ one of them. No matter who you work with you do have a desire to feel like you’re part of a team. You don’t want to feel like the outsider. For a minute, I became a brogrammer. I bought Beats Headphones and listened to Mac Miller. I gave the best high fives and played wing woman at the bars. And though I felt closer to my team, I felt further and further away from who I was really was. Becoming one of them left me unhappy in the workplace. I stopped going that extra mile because I didn’t want to spend more time in the office than I do. As this evolved, the next stage did not become acceptance. I don’t want anyone to think that you should just be unhappy in the workplace. What I’ve learned that some of my best male allies are straight men and I never would have learned that if I continued to write them off as brogrammers. For years, I thought I had this huge secret that I didn’t know what I was doing because I kept asking for help and all of my brogrammer coworkers never asked for help. It wasn’t until years later that I started having lunch with other women engineers did I find out that that is a normal dynamic along gender lines. Being constantly around competitive and boasting brogrammers will definitely make you question your confidence but remember that you’ve earned to be where you are and wherever you climb to in your next role, too. As a millennial, when I first got a job as software engineer my first thought was “how do I become a senior engineer”? Did it matter that it was my first day as a software engineer? No. I just knew that that was the next step and that is what I should work towards. Brogrammers showed me that careers aren’t always so linear. If they hit a wall with their career, if they feel unhappy or see money in another field, they will move laterally, carefully, to the next place they want to be. This is how we ended up with brogrammers in tech the first place. High-fives are like bro-juice. Brogrammers love high-fives and, you know what? I have started to really love high-fives too. Finished a deploy? High five. Fixed that bug? High five! Got a beer from the fridge? High five. In reality, this is a form of positive reinforcement to acknowledge a job well done. And all this high giving helped me get over my imposter syndrome by focusing not only on mistakes and room for improvement but positive feedback and a culture of acknowledgement and constructive feedback.